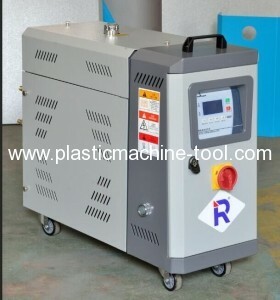 RTC series automatic mould temperature controller is mainly used for mould heating and keeping constant temperature,as well as for the fields with same requirement.This series adopts heat-exchanging principle,using water or high- heat-conduction oil as media to keep the mould at a constant temperature during molding, which guarantee top quality for molding.The optimized design ensures the heating tenmperature up to 200 degree centigrade. 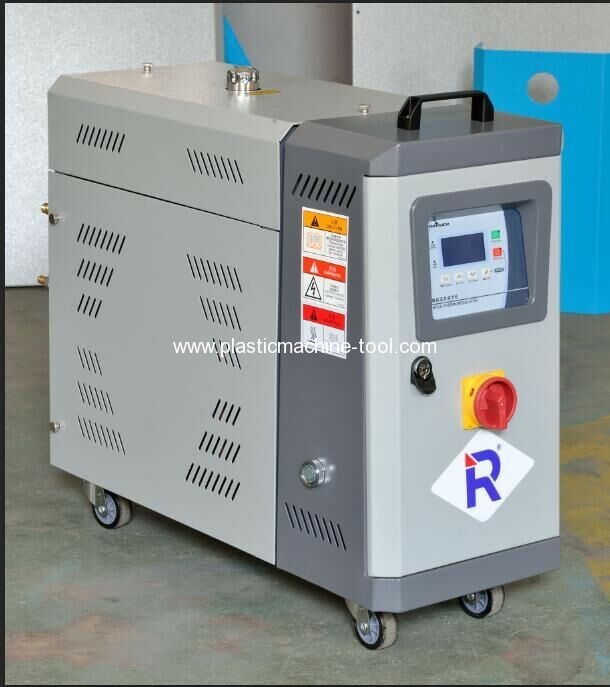 The RTC series of Oil heating adopts heat-exchanging principle,making use of high- heat-conduction oil as medium to keep the mould at a constant temperature during molding, which make sure top quality for molding. The optimized design ensures the heating temperature up to 200. 1. P.I.D temperature control giving full digital setting and fault display with high accuracy in order to precisely control water temperature with variation of 1oC, Moreover,direct-view,easy and simple for operation. 2.Equipped with horizontal pump,running in smooth and steady,stable flow with long working life. 3.cylindrical tube design,pressurization and explosion-proof. 4.Automatic alarming function,alarm and stop automaticly when the system has a breakdown. 5.Attractive appearance,easily-dismounted design,convenient for maintenance. 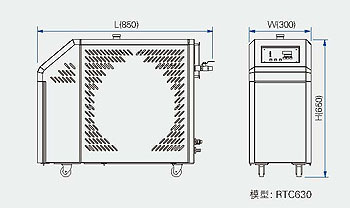 6.Two specifications of water and oil cooling for customers' selection. Please excuse for not note if some specification of products are changed. 2) The voltage Specification Of Machine is 3®, 220V/380V, 50/60Hz.